They fly fighter planes and helicopters; they jump out of aircraft 1000 feet up in the sky; they are engineers, mechanics, navigators and mothers. 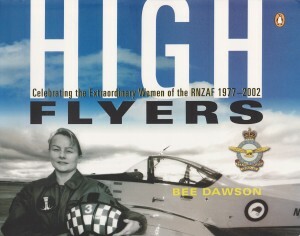 They are the intrepid women of the Royal New Zealand Air Force, who have broken sound barriers and stereotypes with equanimity. It hasn’t always been this way. Bee Dawson’s profiles reveal a group of extraordinary women, in jobs that are anything but ordinary. From a traditionally male-dominated organisation, the RNZAF has adapted and evolved radically over the past twenty-five years to finally utilise the skills and talents of all New Zealanders. These high flyers are full of surprises.